A boy named Nai is trying to find someone named “Karoku,” a dark haired individual of whom Nai seems to have faint memories. In his search, he ends up in the chambers of the “Lady of Karasuna,” a powerful woman who has him handcuffed to her bed for some reason. After she notices a bracelet she calls a “Circus ID” she appears ready to kill Nai, but a guy detonates a bomb and rescues him. Gareki, the bomber-thief who happens to look like Nai’s Karoku, continues to protect the younger Nai, even as the Lady transforms into some sort of demonspawn with triple-jointed arms. Gareki detonates the rest of his explosives, effectively destroying her mansion and burying her under the rubble, and the pair escape. After they leave the scene, a Mysterious Hooded Figure™ arrives and finishes the lady off, saying she’d become too visible too quickly and needed to be disposed of. Meanwhile, a wealthy businessman and his apparent granddaughter are taken hostage on a train. 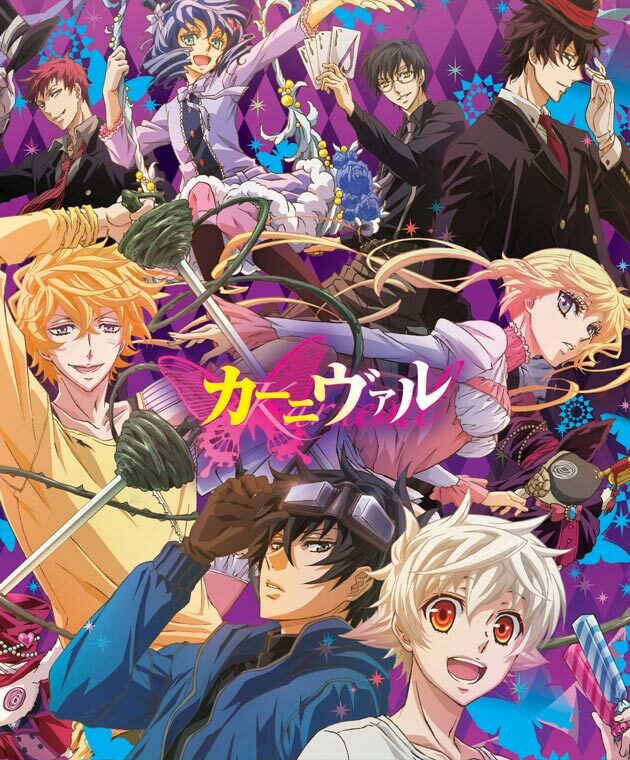 In town, Gareki and Nai are moving through back alleys, as Gareki believes the local security forces in place to try to quell the hostage situation on the train are instead trying to track him down. He and Nai escape the town by finding a bridge that passes over some railroad tracks and jumping onto a passing train, unaware of the situation onboard. After entering one of the rearward passenger cars, they are attacked by a tall bespectacled man with glasses, a top hat, and a coat with tails, who mistook the pair for members of some sort of evil organization – assumedly the one the Lady of Karasuna was in league with. 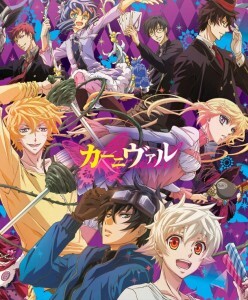 After a few of the hostage-takers arrive, Gareki, Nai, and the ringleader-looking man discover they’re on the same side and repel the attackers. This summary section is running a little long already, and is barely more than halfway through the episode. Suffice to say, the ringleader and his sidekick, a blonde martial artist with a bulletproof cloak, are members of a secret defense organization called “Circus,” butts are kicked, the hostages are freed, and more is discovered by the viewer about the organization the Lady in the beginning was working for, which Circus was sent to investigate in the first place but arrived too late. The first few minutes were interesting, gripping, excitingly scored, and all-in-all a very fine piece of directing, and the rest of the episode tied itself up plot-wise with the absolute neatest of bows, while still leaving the ends of the ribbon trailing off for you to follow for later episodes. If the complexity of the character web of this episode is predictive of the rest of the show, this one’s going to be a treat. If you dismiss any situational sexual overtones – Nai being “with” Karoku for a long time, Nai being handcuffed on the Lady’s bed, etc – which isn’t impossible considering Nai’s incredible trust in people and his astonishing naïveté, there’s really nothing to mark against this show. However, the magical abilities of the Circus members, while nice flash, might get old quickly or become too overpowered and ruin everything. I’m very intrigued to see where this show goes over the next few episodes. To judge this first episode at face value – while Nai is a tad unbelievably naïve, the complexity of the plot and satisfying resolution thereof was surprising (notwithstanding open threads as hooks to keep watching). The characters and their abilities are also interesting so far. There were a couple extra pieces of bait tossed to the audience at the very tail end of the episode to pique interest for subsequent episodes, but they felt like unnecessary clichés (“He reminded me of that man…”) for an otherwise mostly original show.